by Dr. Antonio Jimenez, M.D. 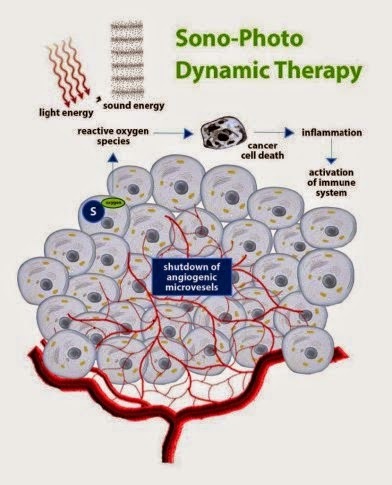 Sono-Photo Dynamic Therapy (SPDT) is really a combination of two individual therapies: Photodynamic Therapy (PDT) and Sonodynamic Therapy (SDT). Both these therapeutic methods have been extensively discussed in the scientific literature and have a strong scientific basis. However, the combination of these therapies into a non-toxic modality and integration with other natural treatment methods have allowed us to accomplish results with this therapy have not been witnessed elsewhere.